We have so many logo computer accessories, you may as well call us the custom computer accessory company. Look through our huge array of choices, and you'll begin to see what we mean. And don't forget that all are fully customizable with logos. 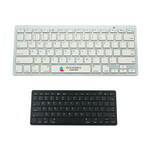 Our handy USB optical mini mouse, for instance, is a convenient and functional, while our wireless Bluetooth keyboard is a great gift for top-producing employees. Whether you have tech savvy clients or are simply looking for a top-of-the-line personalized gift, then a branded Booster Adapter USB Charger is the way to go. Our Cord Buddy - Golf Ball Shape makes an ideal tool to secure cords and allows inserting brand details for corporate swag. The Light Up Mouse lights up your logo when used. Imprint your company’s name and tagline on this computer essential to gain extensive brand visibility. 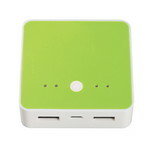 Always hold on to power and ensure your gadgets are fully functional by using the compact Power Up Power Bank. Emblazon your company’s logo on the power bank to help your business grow exponentially. 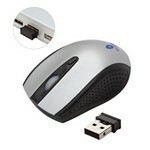 The nano receiver plugs into a USB port making it ideal for PCs and Macs. A sleek silver design takes up little room on your desk and makes this a great travel tool. The BeagleScout Two-Way Tracker And Luggage Tag features alerts when you are about to loose your items, Customizable with your logo. 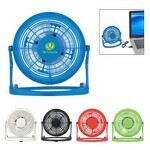 The USB Plug-In Fan can make working with your electronic devices comfortable and relaxing; at work or at home. 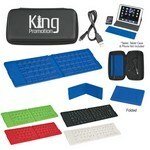 It is available in attractive colors including blue, lime green, red, black, or white. Stay connected in style with this 5 LED Light and 4 Port USB Hub! This unique USB data transfer hub connects up to four devices in a single USB port. Compatible with all modern smart phones, tabs, computers and other gadgets, this compact USB Port gives you maximum convenience.